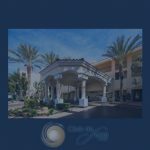 The big news at Club de Soleil since our last newsletter is the installation of new RFID door locks, an event whose importance is easy to discern by its conspicuous story placement on the cover of our current issue, now available for your reading pleasure. The article, placed inside a key card graphic, explains in detail all the reasons the new guest unit entry system is superior to its magnetic-stripe predecessor. Inside you will meet our new assistant general manager, Julian Ross, find an entertaining Owner Spotlight on a pair of rabid LSU fans, and learn about our new ADA-accessible aquatic chairs. We also have a season wrap-up on our popular weekly barbecue. We hope you had a wonderful summer and look forward to your next visit.